went to queensway shopping centre to replace a pair of plastic spectacles frame which i broke in amsterdam during my april2014 trip. it was done on the spot, just pay money of course! 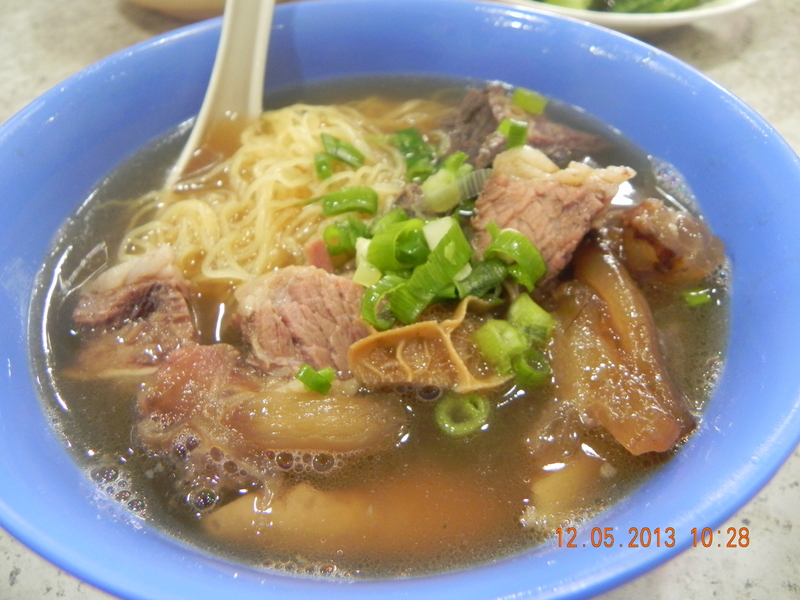 i love the beef brisket noodles 牛腩/杂面 at HK street stalls. regrettably cannot find any in singapore even remotely similar, the hainanese gluey beef noodles not really my cup of noodles, anyway have never taken them for years now. the nearest i had which was pretty good really was the beef noodles at noodles restaurant, only thing missing was the mixed innards 牛杂. i just imagine that because of that somehow the taste of the soup was not as good. at this lao jie fang stall, they have beef briskets at S$3.50 & briskets + tendons at S$5. the stall owner offered dry. in HK you usually take soup but anyway i gave it a try. the noodles was very nicely done, very QQ (al dente), not mushy, & the chilli & overall flavour was good. there was a good helping of briskets & tendons – 3 large pieces of tendons & 4 briskets. i would rate this almost as good as the one at noodles restaurant, except this came with tendon so more satisfying. soup was good too but even further from the real thing in HK streets than the noodles restaurant. This entry was posted in Buon Appetito! 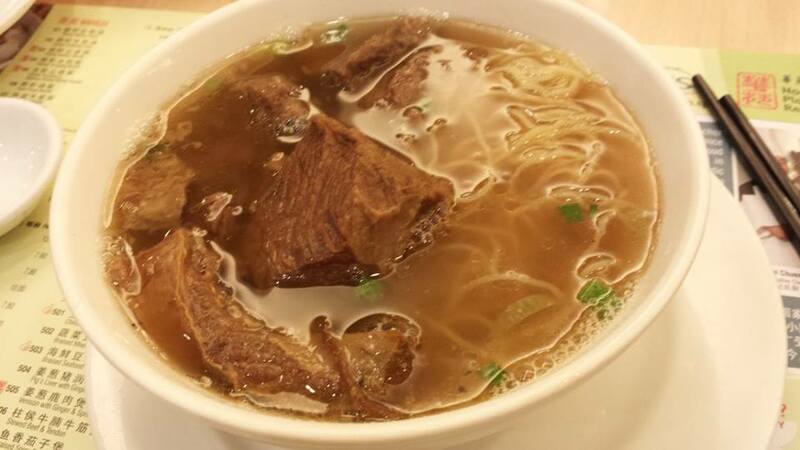 and tagged beef brisket noodles, 牛腩面, 老街坊, hup kee, lao jie fang, mei chin market & food centre, noodles restaurant, queensway shopping centre, teochew fish ball noodles, xin lu (新路). Bookmark the permalink.